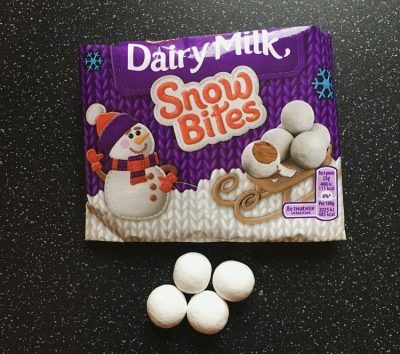 It’s December and it’s beginning to look at lot like Christmas *cue excited face*. I am not exactly a Greggs fan but I am not one to pass up a festive good. So given there was a Greggs nearby my work meeting, I decided their Christmas Muffin was in order. A mixed spice and sweet mincemeat muffin topped with fondant icing and a sugar decoration. If you have seen the advert you will know the muffin also consists of an oozing custard style middle, that in itself makes me want to eat it. Presented in by far my favourite feel good festive bag to date, Greggs Christmas Muffin was ready to be eaten. Cutting in half I immediately have to question who stole my oozing custard middle? Come on Greggs what is this? You promised a custard middle, and all I have is a wipe on wipe off bit of custard. There was the familiar smell of mixed spice, which of course is one of the signatures of christmas food, and in this case was just the right amount to give that warming lingering taste. The sultanas were juicy and sweet, I am pleased to see that there wasn’t an abundance of sultanas taking over the muffin, but just enough to get a few in every bite. The muffin was baked well, slight crust to the top and edges, with the middle spongey and light. What there was of the custard was okay, however there was so little you couldn’t really taste it at all. 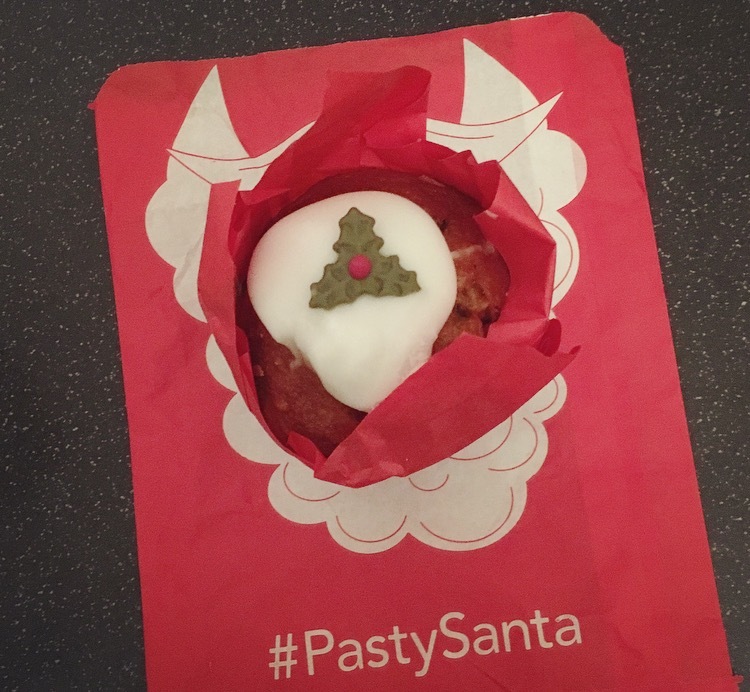 I cannot help but be bitterly disappointed by this Greggs Christmas Muffin. 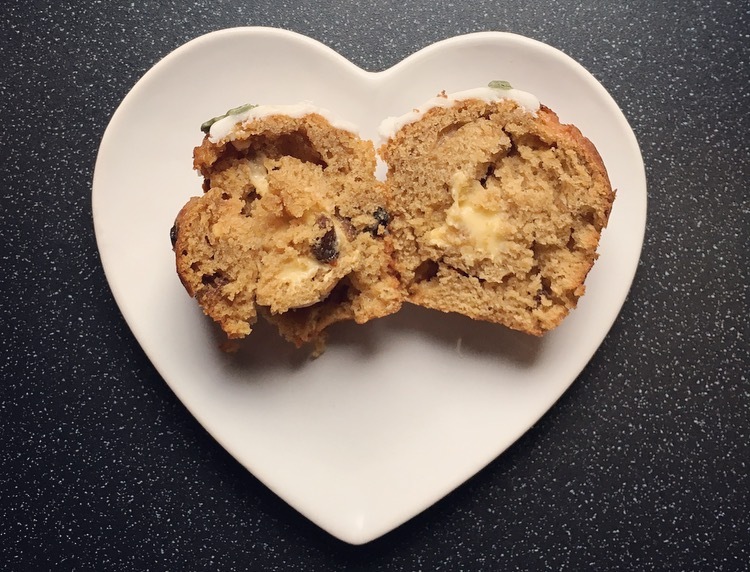 The custard style middle certainly should have been the standout factor from your run of the mill spiced muffins you see over the Christmas period, so without it it’s just another Christmas Muffin. Update! – So the lovely people at Greggs contacted me, wanting to make up for the lack of custard innards in their Christmas Muffin. In the spirit of giving everyone a second chance I did indeed hop-foot it to my local Greggs to get another Christmas Muffin, and prayed for it to be better. Cutting open there was a difference to the former muffin, that being the custard is evident in both halves!! It’s not the oozing out the middle like the advert and picture suggests, but nonetheless there is custard. 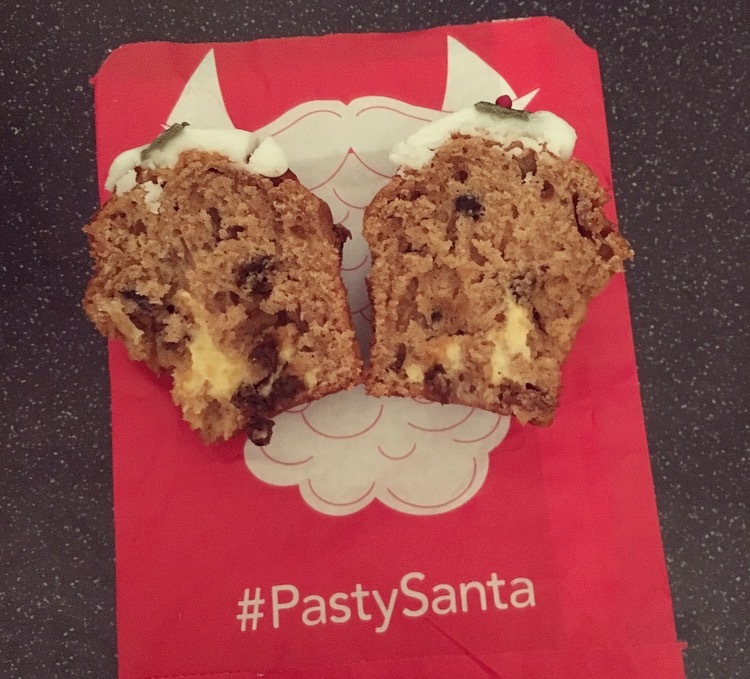 The flavour was warming and christmassy, the raisins plump with just enough of them mixed throughout the muffin, and the custard was smooth and much needed as the muffin edges were a tad over-baked and dry. The custard was by far an improvement but really there needs to be more. 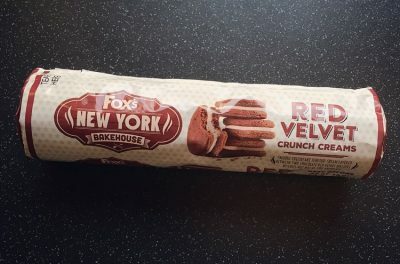 You don’t get custard with every bite, and I really do want custard with every bite, perhaps this is something for Greggs to consider next year. Oh no no custard……that really is disappointing….I will definitely go and try one.